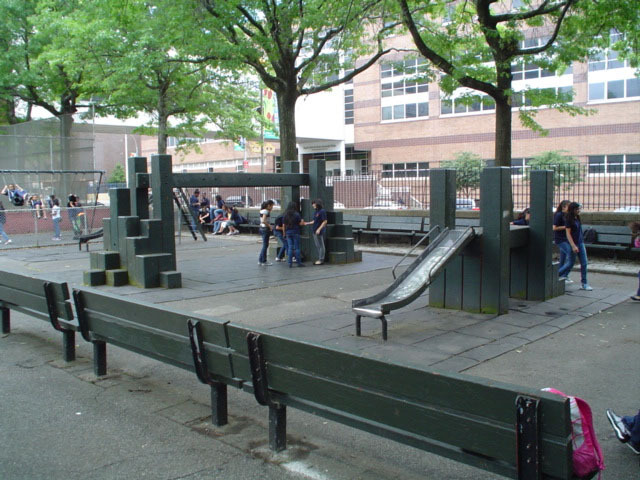 It’s not just New York City’s Anchor Parks that are receiving renewed attention: Earlier this week, the city announced that nine additional parks would be fully renovated as part of the ongoing Community Parks Initiative (CPI). The CPI is $285 million project that was launched in 2014 and aims to improve “historically under-funded parks in densely populated and growing neighborhoods with higher-than-average concentrations of poverty,” according to a press release. 60 parks will be rebuilt and 100 more sites will receive “targeted improvements and enhanced programming,” such as “new pavements for basketball courts, new plantings, and aesthetic improvements.” The CPI—which also features an annual $2.5 million budget for ongoing park maintenance—is also part of the Mayor de Blasio’s oneNYC plan, which broadly aims to encourage economic growth, ecological sustainability, and resiliency, all while reducing inequality. According to the press release, 35 of the inaugural CPI parks have already broken ground on construction. 12 other parks are in the design phase and more sites will be added to the initiative next year.